Is MTN being shaken down by Buhari’s government? There’s something suspicious about the two large and unexpected charges Nigerian President Muhammadu Buhari’s government has just imposed on the largest cellphone operator in the country, South Africa’s MTN. Then the attorney-general’s office demanded US$2 billion in back taxes from MTN, which vowed it was innocent of all the charges and would vigorously oppose them. The double whammy helped knock MTN’s share price by about a third, boosting shareholders’ losses to well over R100 billion since the start of 2018. Coming on top of the US$5 billion fine – later negotiated down to US$1.7 billion – that Nigeria hit MTN with two years ago for failing to disconnect unregistered subscribers, this has raised questions about the motives of Buhari’s government. He faces a difficult re-election campaign in February. A major part of his mandate from his first election in 2014 was to combat corruption and enforce financial regulations. So is clamping down on MTN a genuine attempt to improve governance? Or is it more about fleecing an easy target – a rich foreign company – when low oil prices and mismanagement of the economy have slashed revenue and badly depleted foreign reserves? 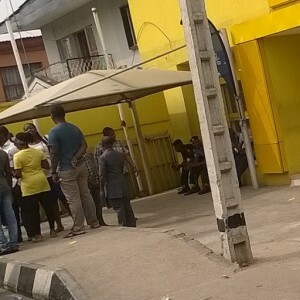 Is clamping down on MTN a genuine attempt to improve governance in Nigeria? Pater noted that other mobile phone operators in Nigeria had not come under the same scrutiny as MTN, which was an ‘easy target’ because it was profitable and because its operations were transparent, unlike some other mobile phone operators in the country. Also, no doubt, because it’s foreign. Vestact CEO Paul Theron told Bloomberg that Nigeria’s move was ‘pathetic, nationalistic and immature’ and could ‘severely weaken Nigeria’s economy in the years to come’. MTN has been among the most committed foreign investors in recent decades, the money manager said. Nigeria’s move has also cast doubt on MTN’s plans to list on the Nigerian stock exchange which it promised to do after the fiasco two years ago. Pater told Biznews he thought it unlikely that MTN would want to list in Nigeria under the cloud of alleged flouting of regulations and with its share price at home so far down. Alastair Jones, an analyst at the London-based New Street Research, told South Africa’s Business Times that if MTN failed to avoid the huge claims, the listing might never occur, as this would raise questions about MTN Nigeria as a going concern. Pater told Biznews that perhaps the Nigerian government was trying to get its house in order, adding that ‘from history, MTN does not have a squeaky clean reputation, and there have been some transgressions in the past’. But if indeed the Nigerian authorities were merely shaking down MTN to replenish the country’s foreign exchange coffers and plug the holes in the budget, as some were alleging, this could harm the country’s investment prospects in the long term. MTN would probably not decide to exit Nigeria this time, as the country remained a big earner for it. It provides the largest number of subscribers – about 27% of the total in the 23 countries where it operates across Africa and the Middle East. Nigeria also earns MTN some 25% of its total revenue, second only to its earnings in South Africa. And Pater pointed out that while the South African market was mature, Nigeria’s was still growing. Even so, if the company continued to be hit by such large penalties, it might eventually reconsider the viability of its Nigerian investment, he said. It was likely that another large operator would then move in to take MTN’s place. Pater suggested though that Nigeria would be lucky to find another mobile phone operator with the same commitment to the country as MTN. And potential new investors with no existing commitments to Nigeria would be discouraged. Atiku Abubakar, a former vice president who is running against Buhari for the main opposition People’s Democratic Party next year, told Bloomberg the way the central bank had targeted MTN would only serve to discourage foreign investors. The saga is already affecting investment prospects, it seems. Alan Pullinger, CEO of FirstRand, which is managing the Nigerian listing for MTN, told Business Times that MTN’s experience had made his group more cautious about doing an acquisition in Nigeria. For some analysts and investors, MTN’s high-profile experience has only served to advertise the hazards of investment in Africa and reinforce an opinion – some would say a prejudice – that Africa as a whole is not a safe destination for one’s money. David Shapiro, deputy chairman of Sasfin Wealth, told Business Day that the news reinforced his ‘sceptical’ stance towards investments in Africa. Despite the continent’s potential, ‘you have governments, and I must include SA, that are largely unpredictable’. For the short-term gain of re-election next year, it seems, Nigeria is risking ‘killing the geese that lay the golden eggs’, as Pater warned.